You might fight. You might get annoyed. But your sister is one person that you can share your room, your clothes, and your secrets with. 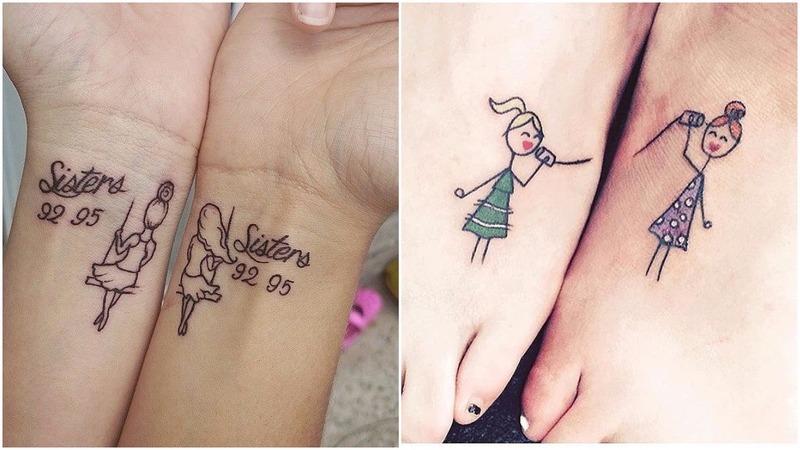 So what better way to seal the sisterly bond than with a little ink to show that she’s your best friend? 1. How big and out of this world the Universe is. Many people in this world are chosen to share a special bond with a sibling that they call their sister. A special bond that may contain sharing clothes, a room and maybe even some secrets, but it does also contain a lot of fighting as we grow. 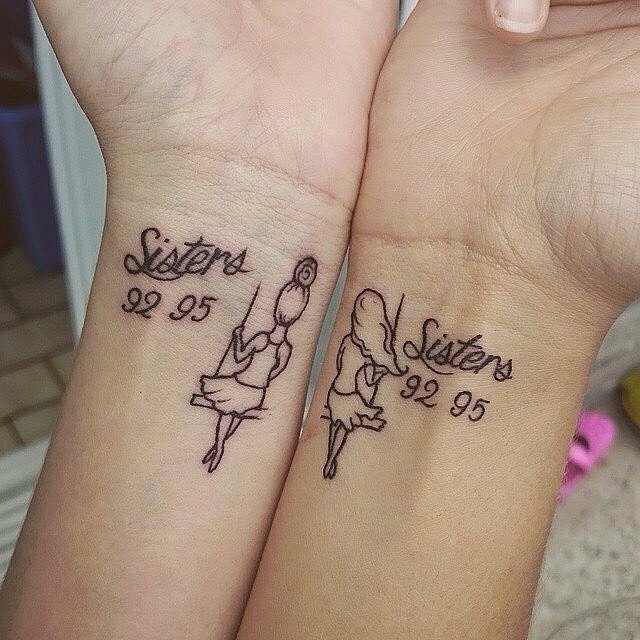 This ink shows how big a sister bond can actually be. No matter how far away you are, you can always call your sister! This ink depicts the old school tin phoning system, and the line is connected to your sister, that is some cute stuff!! 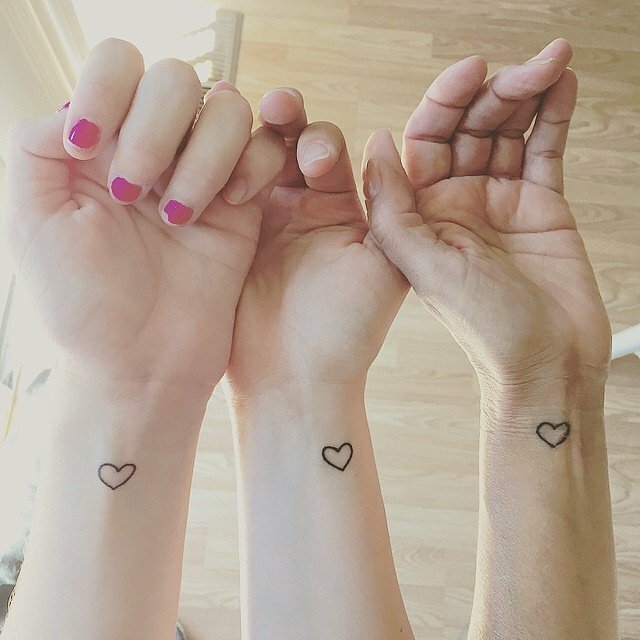 Here are three sisters that wanted to show the strength of bond in threes with a little heart. 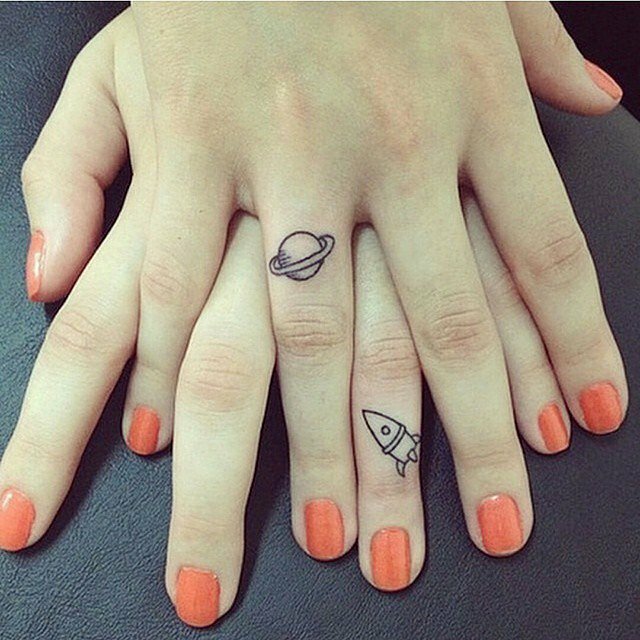 They share the same heart tattoo that they can carry with them wherever they go. This kind if ink on the wrist is definitely a great reminder of someone special, this is what love is. Many people express love through hugging and kissing, even sisters such as these two. Inking an “X” and an “O” is more meaningful the more you think about it, a simple bit of ink to share a bond with your one and only sister! 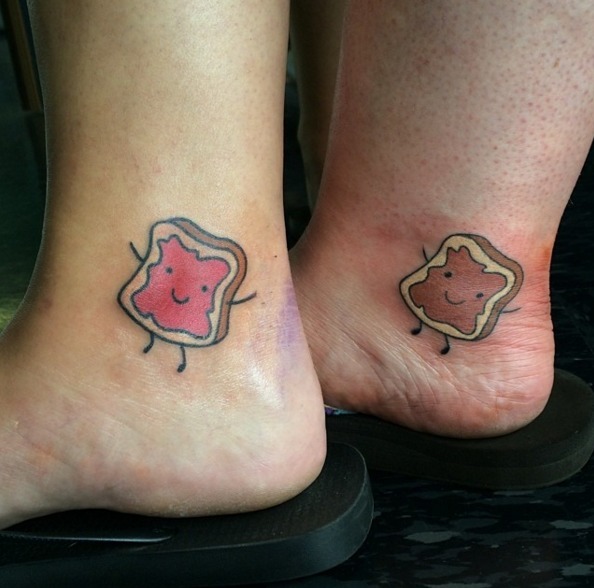 What better way to show love for your sister than tattooing one slice of bread to your ankle, one being peanut butter and the other one being jam – which makes the best combination for a sandwich we all love as kids – Peanut butter and jelly! 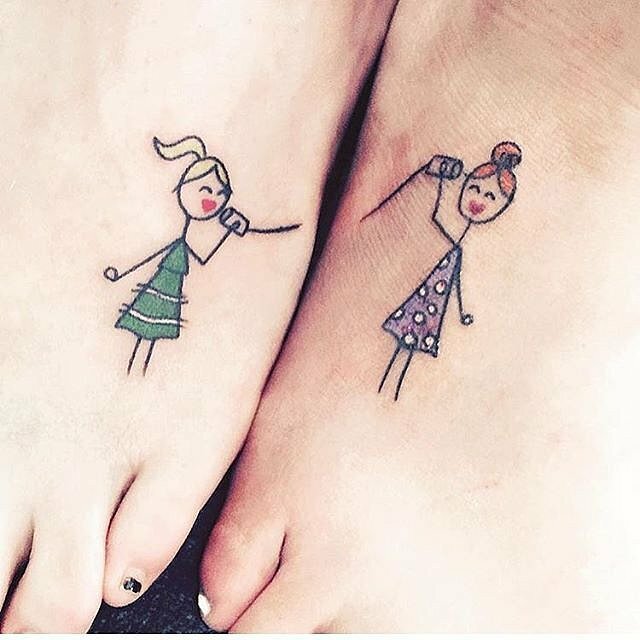 Being little girls, swings were a source of freedom, with the wind in your hair and your sister right there with you, it can create a strong bond with your sibling, which makes this tattoo pull at your heart strings. Previous articleHer Daughter’s Face Turned Red And Blistered, Now This Grieving Mom Is Warning Every Parent. Next articleThey Welcomed Twins Into The World. 12 Years Later, They Found One On The Bathroom Floor. Her Daughter’s Face Turned Red And Blistered, Now This Grieving Mom Is Warning Every Parent.